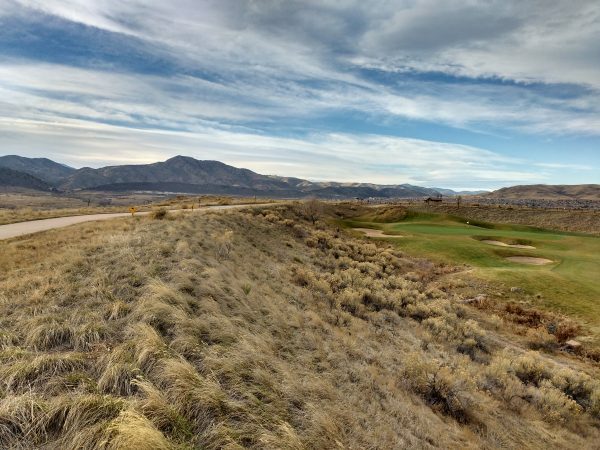 Free high resolution photo of a landscape scene featuring a paved trail and a golf course with mountains in the background. This picture was taken near the top of the Mt. Carbon trail in Bear Creek Lake Park in Lakewood, Colorado. The golf course is the Fox Hollow Golf course. In the distance you can see the foothills of the Rocky Mountains. Free image for any use.